Good afternoon fellow country men and women. May i take this opportunity to view and expose what this government under the PF regime is working with Kalumbila minerals mobile maintenance department boers from South Africa and Australia. 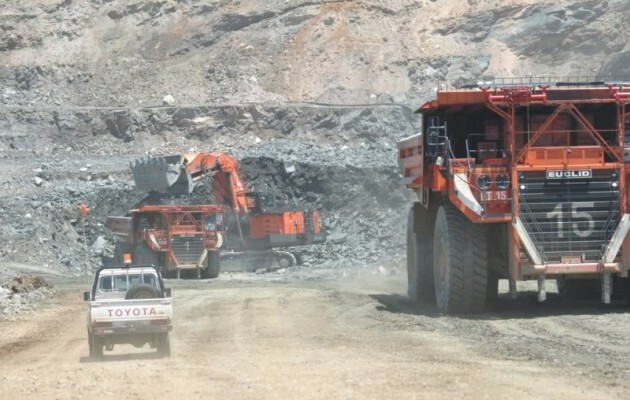 This government under Mr Edgar Chagwa Lungu has allowed the whites and Boers of South Africa to run private companies within mobile maintenance department to supply spares for shovel, excavators, haul trucks and hire the fuel bowser to refuel machines in the mine. Our Zambian contractors are denied these projects not that they not capable of doing the job NO, but because of corruption that has hit this country and racism at Kalumbila Sentinel, for the sake of benefiting themselves and the PF government. These companies are not even registered by PACRA. Grant Cook, the maintenance superintendent, owns a private company contracted to Kalumbila minerals with a fuel tanker bowser which refuels mine equipment in the pit; he gets untaxed millions of dollars in support with the maintenance manager Stephnus and Raan. Rob Kydd owns a company which is registered from South Africa which supplies millions of dollars of spares for both shovels and excavators. Johan from Ancillary section owns a company; they are many so to say. All these unknown companies do not remit tax to ZRA and even the government knows them. They manage their companies while even working in the same company holding managerial positions without proper education documents. Permits are granted to them through corruption by Immigration officers. Two guys from Office of the President [OP] one from Solwezi and Manyama came and they collected money from Rob Kydd for corruption. I’ll publish the names of the OP and the number plate of fuel tanker owned by Grant Cook soon after mobile maintenance department management are deported by government or fired by Philip Pascal.